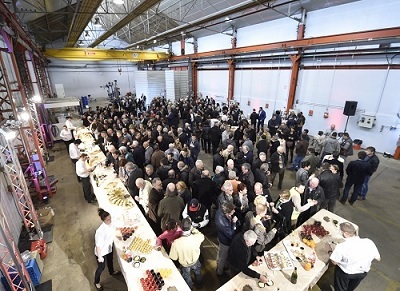 In the presence of local politics, SFPI Group executives, employees with their relatives, Barriquand group celebrated its 80th anniversary. Mr Robert Barriquand, son of a founder and former managing director of the company, was also present. Our company took the opportunity to officially open two new areas of production, one of 1,000m² dedicated to the manufacture of large size Platular® heat exchangers for Barriquand Exchangers; the other of 400m² for Steriflow FAT services. This festive time, where old and new generations could exchange around a musical buffet, was mainly the opportunity to offer one-day Open House to all our employees who were able to visit the workshops to their families, promoting industrial vocations among younger visitors.